Awair. 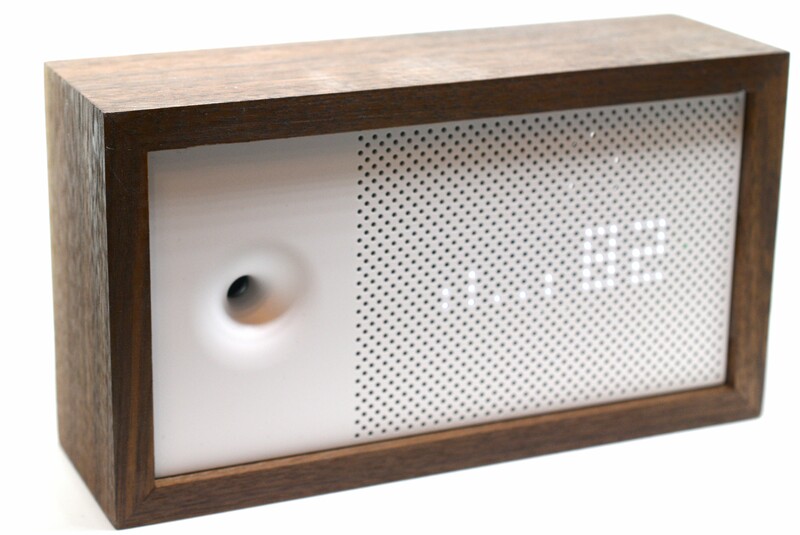 Air quality monitor. 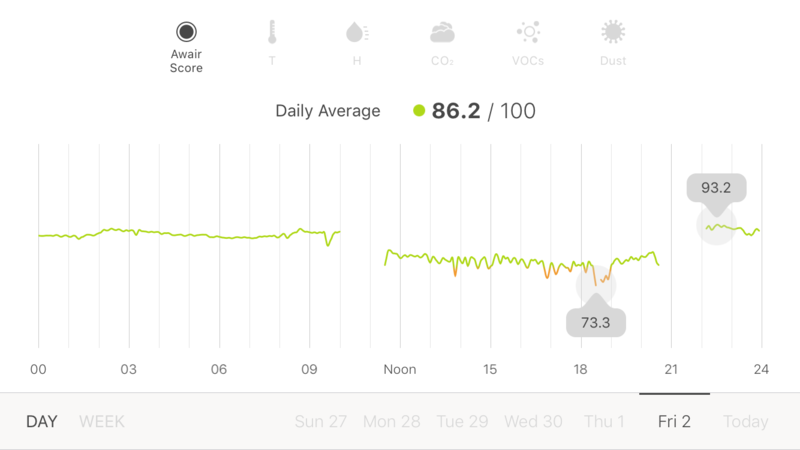 Measure Humidity, Temperature, CO2, VOC (Hydrogen gas, Hydrogen Sulfide, Ammonia, Ethanol, Toluene, Formaldehyde), Dust (PM2.5 PM10). That is somehow more than netatmo can do. 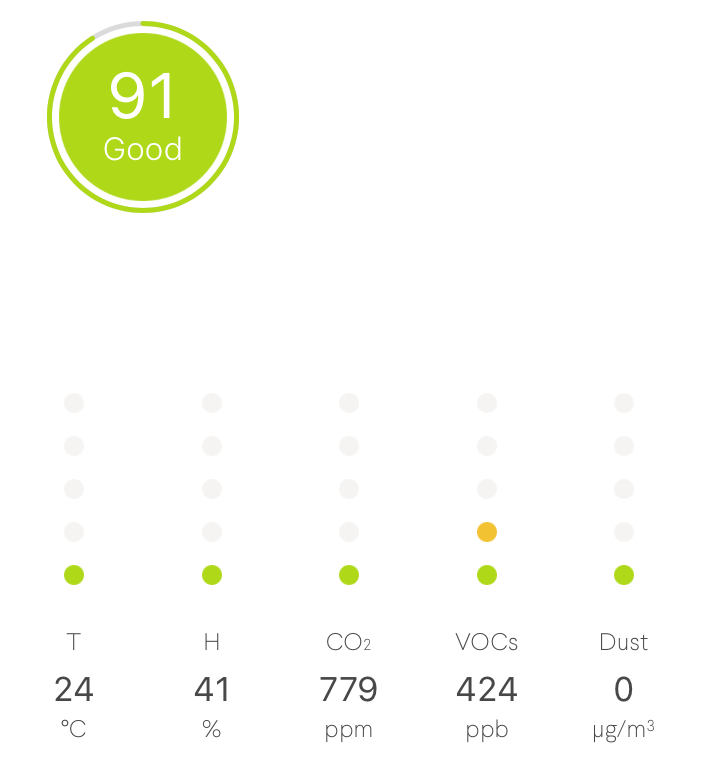 Device shows air quality metrics as a dot bars. Where one dot is good and five dot are bad. It is also general “Awair score” on the screen both by number (100 is best, zero is worst) and by color of the LED (green is good, red is bad). Awair also can work as clock (but only in 12h mode). In addition to local indication device is also send data to a cloud using Wi-Fi (802.11n 2.4GHz), that allow to see the data using iPhone or Android on a remote locations. Delivery from USA to Ukraine using NPShoping 20$.